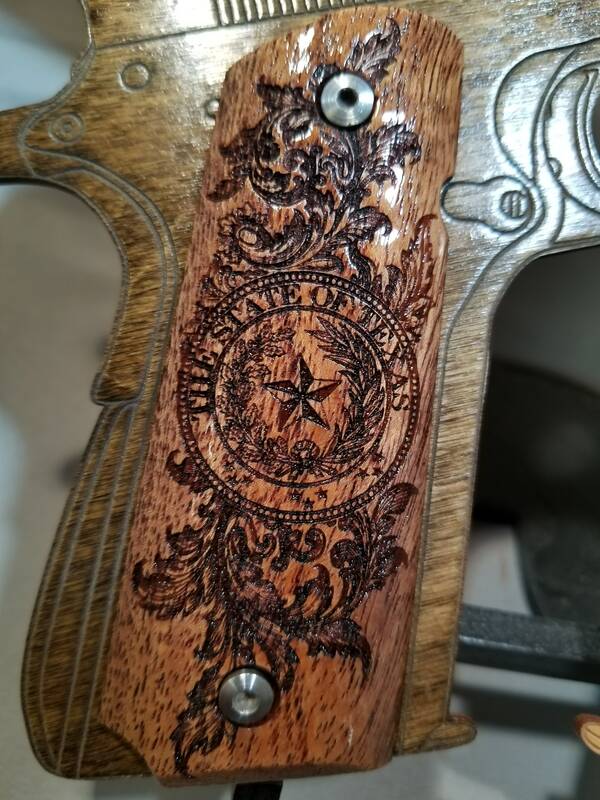 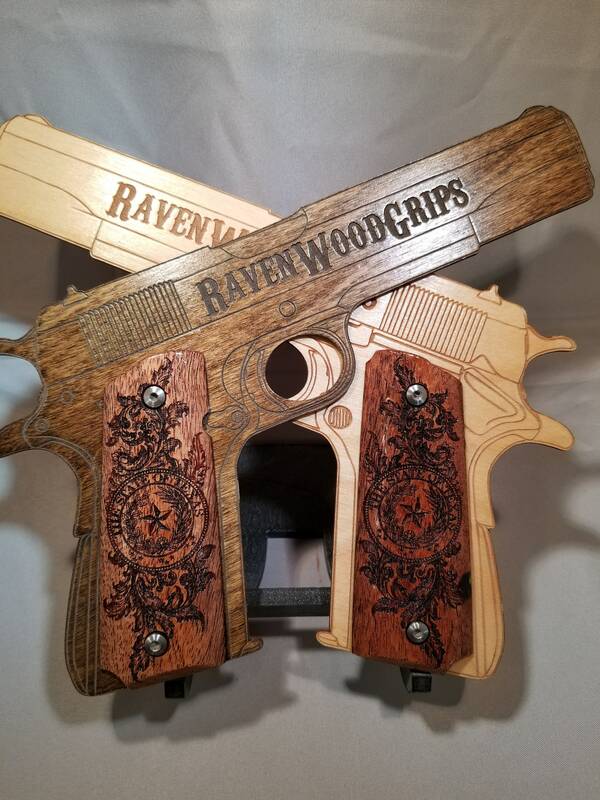 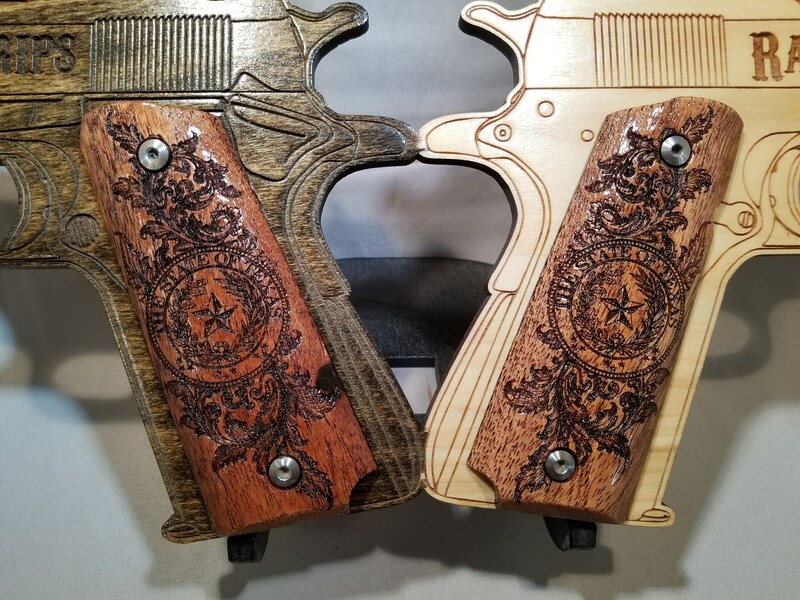 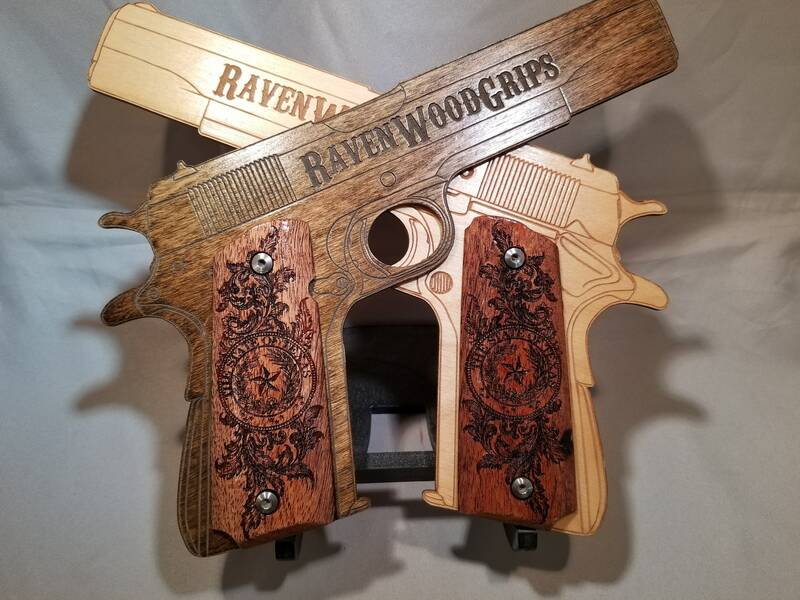 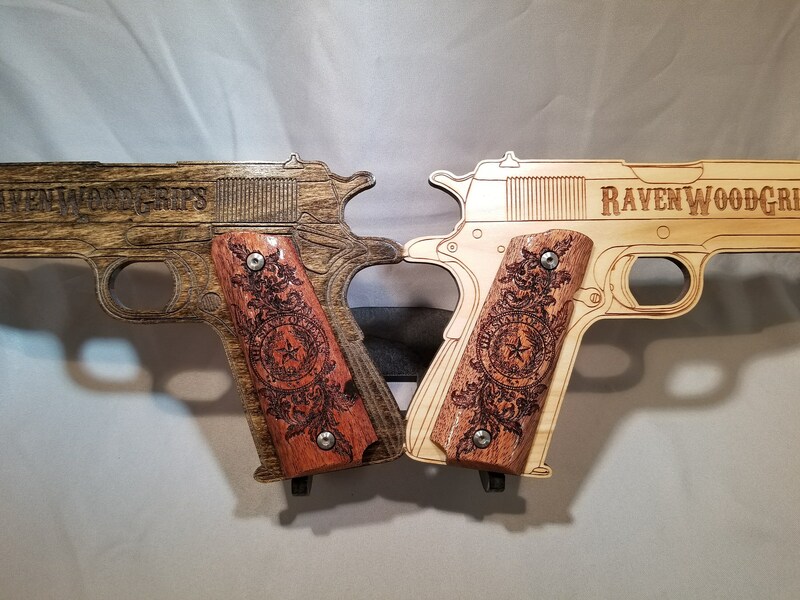 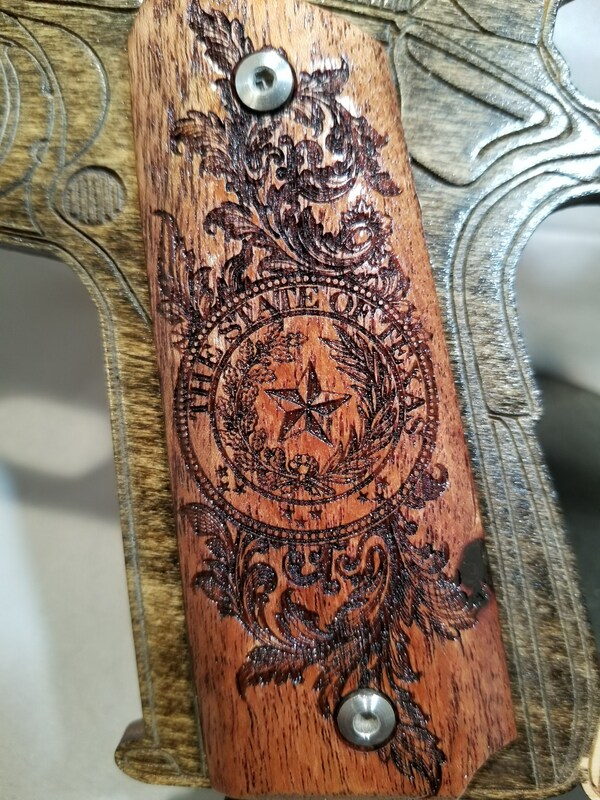 These grips are made from presentation grade Mesquite, and engraved with the State of Texas seal, surrounded by very fancy scrollwork. 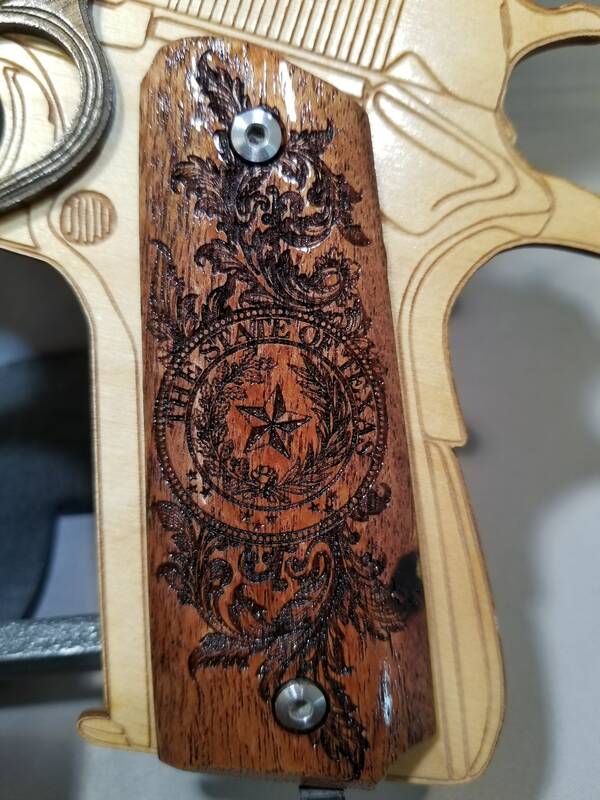 If you would like them with the Republic of Texas Seal, just put a quick comment in the NOTES section of the order stating such. 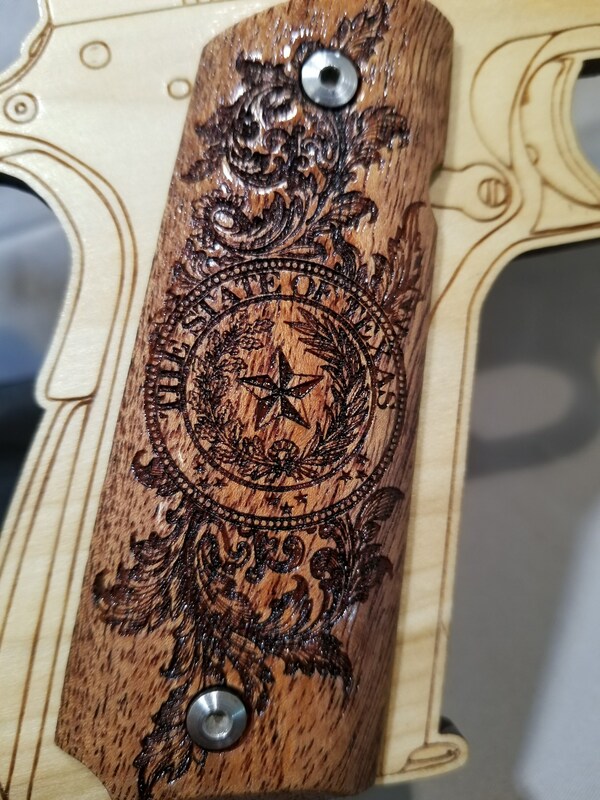 Highest recommendations,Craftsmanship over the top,Shipping excellent.